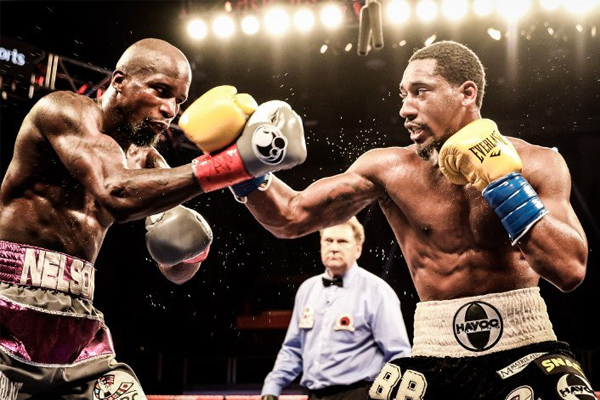 On Thursday, Banner Promotions and HBO announced that Demetrius Andrade would be returning to action on October 21, on HBO’s Boxing After Dark, facing unbeaten Alantez Fox. I view Andrade as one of the sport’s most unfairly over-looked talents. A member of the 2008 Olympic team, he is 24-0 with 16 KOs and holds the WBA belt at 154 pounds. There is a good argument to be made that he is the best fighter in the world now at 154 pounds, with Jermall Charlo and Saul Alvarez competing at full middleweight. The Transnational Boxing Board has him ranked first there. I would ultimately place him behind Erislandy Lara, but ahead of Jermell Charlo. He has defeated very good contenders such as Vanes Martiroysan, Jack Culcay and Willie Nelson. What he doesn’t have to his credit is a true signature win–that is why I would prefer to see him face somebody like Lara or Charlo. Even Julian Williams or Miguel Cotto would be a great test for him. If unable to make a big fight at 154 pounds, it might be time for Andrade to move up. Fox is a reasonably interesting opponent for Andrade, though. In addition to his undefeated record, Fox will be a rare opponent who forced Andrade to look up–the Maryland native stands 6’4″ and has a reach of 79″. Andrade is used to being the longer, taller fighter, so Fox at least presents problems that he doesn’t usually face. But Andrade is also a huge step up in competition for Fox. The best win on his resume is probably Milton Nunez, a journeyman who has been stopped by a large number of contenders. Understand, I am not saying that Nunez is the type of fighter you beat to become a contender. I’m saying he is the kind of fighter that has lost to a lot of contender. He’s also lost to guys that nobody has heard of. Last October he lost to an opponent in his professional debut.